← Vi-Ser (Visual Studies Seminar) starts in Turku next week! 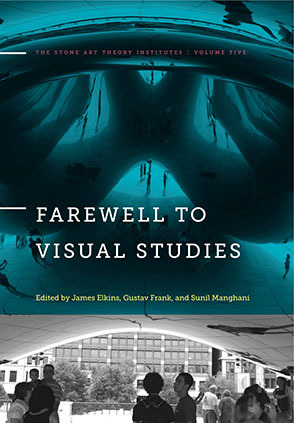 James Elkins proclaimed ”Farewell” to Visual studies in 2016, as an ironic gesture. The Stone Art Theory Institutes: Volume Five. It was almost three years ago since anything was last posted here. Probably blogs are already outdated as a means of communication; things develop at an increasing speed (technology, industry, culture, economy, World population), and things which used to be effective become obsolete almost overnight. Anyhow, I have decided to test this medium again in order to probably reach some souls outside the building in which I work. This ”I” (ego) which is writing is Fred Andersson, art historian and responsible for the Visual studies initiative at Åbo Akademi University. I started writing this blog in 2012 in order to inform about our activities. From now on I will write all posts in English, simply because that is the only language in which I can make myself generally understood in Finland, and not only for the Swedish-speaking population. Every year quite many exchange students from different countries take our courses in Visual studies and Art history. Åbo Akademi has given me a regular full time position as University Teacher in Visual Studies (universitetslärare i visuella studier, anställning tillsvidare), which means that Visual studies will continue here. There is a future, in spite of James Elkins (one of the founding ”fathers”) who ironically bid ”Farewell” already in 2016. The Åbo Akademi web pages and the Åbo Akademi course catalogue and registration system have been completely changed this year. In the process, much information has become unavailable for those without access to the intranet. For safety, I have created an open page with all our courses. Click the link ”Våra kurser/Our courses”. For Åbo Akademi students with access, it is possible to register directly though links to the Moodle pages. There has been an ongoing project about art criticism in Finland and Sweden. It belongs to Art history rather than Visual studies, but material from the project is now available in Swedish though the ”NAC (Nordic Art Criticism) register och statistik” link. I will probably write short postings, starting immediately. Consider this as the ”sketchpad” of Visual studies at Åbo Akademi. It is nice if someone reads it, but comments are de-activated due to massive amounts of spam. Det här inlägget postades i about blog, art criticism, Bloggar, blogs, Konstkritik, Om bloggen, Visual studies, Visuella studier och har märkts med etiketterna development, James Elkins, visual studies. Bokmärk permalänken.